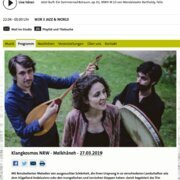 Tonight Meïkhâneh is on air on WDR! 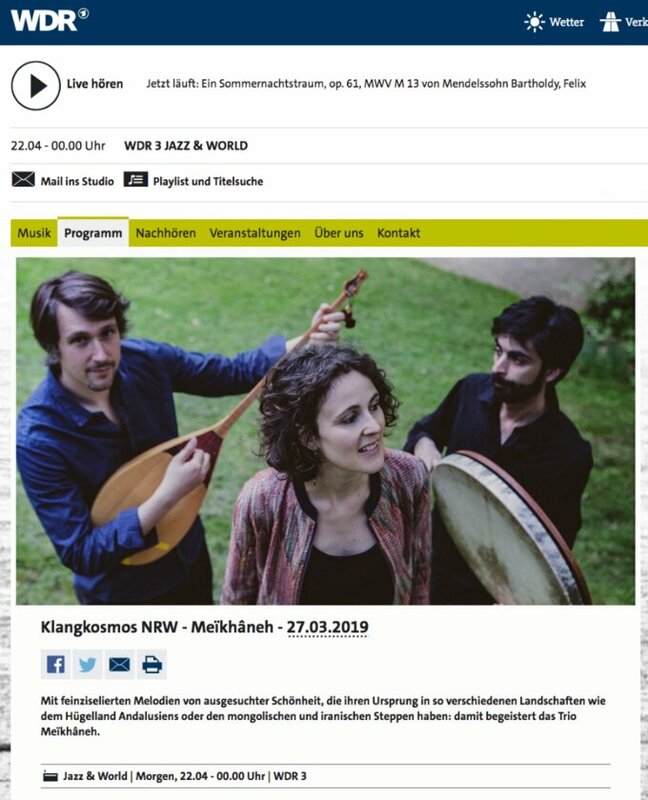 Tonight Wednesday 27 of March, listen to the full concert of Meïkhâneh live in Paderborn on WDR 3 at 10pm! This concert was recorded in February 2019 during the Klangkosmos tour in Germany.